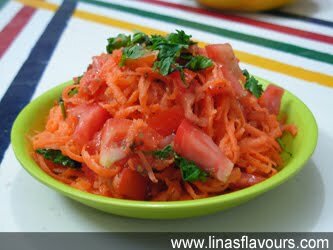 Take a bowl and add grated carrots and tomatoes. Add sugar, cumin powder, salt and mix it well. Put it in the refrigerator to make it cold. Take it out at the time of serving. You can even add green chillies if you like it.